Our lawyers came to Watts Guerra from the best and largest defense firms, companies, prosecutors’ offices, and other plantiffs’ firms. We’re experienced, having tried hundreds of lawsuits and represented hundreds of thousands of people. Watts Guerra LLP is a true nationwide litigation practice. Our trial lawyers handle some of the largest cases nationally for catastrophic injury and death, product liability, commercial litigation, and mass torts. We’ve beaten the largest and most powerful corporations in America, yielding substantial verdicts and settlements and, more importantly, greater consumer safety for everyone. For more information, contact us today. Our firm’s work helped lead to Congressional hearings in 2001, and the recall of millions of Firestone ATX and Wilderness tires. We were proud to represent pharmaceutical victim Margie Sanchez, whose liver was destroyed by the diabetes drug Rezulin, helping her to receive a significant jury award in the first Rezulin trial in the nation. Likewise, our lawyers represented Naomi Bonorden, Helen Rupp and Lillian Sallinger, who received an award from Sulzer Medica. We’ve also won for companies and business owners. People like Russell Grigsby, the CEO of a nationwide securities trading firm forced out by his partners who later sold their company for $150 million. What Makes Watts Guerra Different? 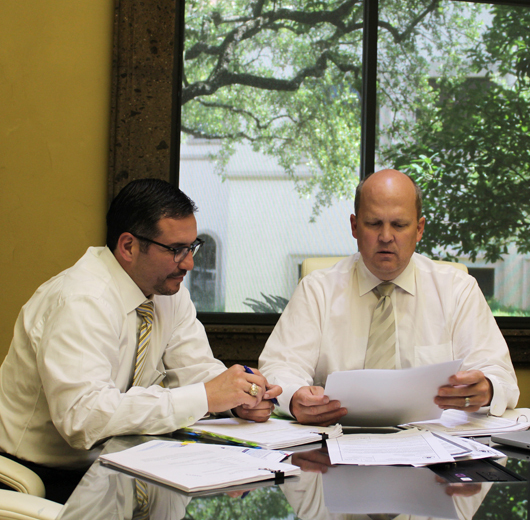 Our firm employs a team of people in cities across Texas. We boast one of the most experienced plaintiff-side lawyer rosters in the country, with some of the best trial lawyers in their respective areas of practice. We have strength in numbers and in talent. We’ve won groundbreaking trials for individuals catastrophically injured by defective products and drugs.